Today is Thanksgiving Day in Canada and for several years I’ve practiced what I call a Season of Thanksgiving. A season that goes from Canadian Thanksgiving through Americian Thanksgiving. We have much to be thankful for and it seems like thanksgiving just get’s lost between Halloween and Christmas. Even when we are in the midst of our own dakness or dispair there’s something to be thankful for – for we worship a God who grants us grace and unconditional love every second of every day. So I challenge you to join me in my thanksgiving journey. Today I start off with a thanksgiving that just sort of fell into my lap last night because off facebook. When we served in GA I was a member of a knitting group that meet every Friday evening to knit, crochet, (sometimes spin yarn) but always share together. Share lifes joys and lifes sorrow. We were an ecclectic group – I’m still not sure how to describe us other than a group of compassionate fiber loving friends. I’m thankful for all this group of ladies did for me while I lived in GA but more specfically I’m grateful for the opportunity to reunite with them next weekend. Every year at the agriculture center outside of Asheville there is a fiber festive that is miainly hand spun and hand dyed yarn. Booths full of roving for spinning and felting and every tool imaginable to fiber loving people. I’ve been a couple of times and ran into folks from my GA group but never have I stayed with them but this year that’s changing. I’m going up Friday evening and coming back Saturday. Im super excctied after the exhauusting weeks we’ve had arouund here it will be nice to just hang with some good friends and make some new friends. So today I’m thankful for fiber loving friends from GA! 1) How are you? What’s taking up your mind-heart space these days? 2) It’s St. Patrick’s Day on Monday~~will you celebrate or give a nod to it? 3) My colleague is a voracious morning reader of blogs, online news, articles, etc. 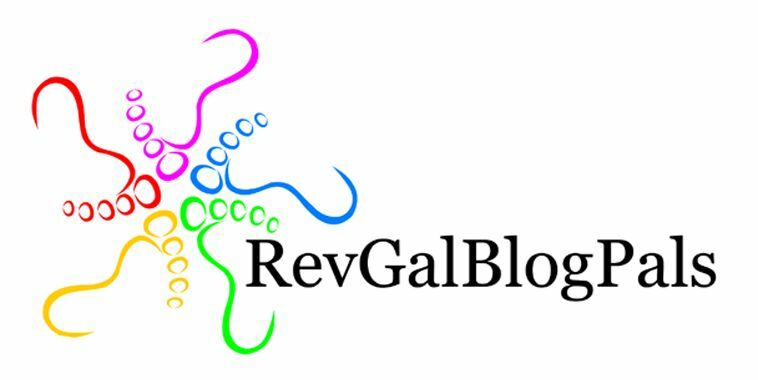 What, besides RevGalBlogPals, do you look at frequently, if not daily? 4) I got nothin’ here. This is a free for all. Just tell us something! 5) Use these words in a sentence or two: map, magazine, sing, baby sloth, knit, penguin, love, weep, mountain, and messenger bag. 1. Having just had a hysterectomy I’ve been thinking a lot about babies and how I will no longer be able to give birth nor was I ever able to give birth to a biological child. Certainly adoption is a birthing process of a different kind. 2. Is there an official way to celebrate St. Patricks Day? I guess some drink green beer and eat special food. I’ll likely just wear soemthing green and send my littleman to school wearing something green. 3. I certainly check Facebook and Ravelry (a knitting and crocheting social network) multiple times a day. I also daily turn it the Moravian Daily Text as my devotional guidance for the day. I’m not much of a blog reader, unless someone links to one on Facebook or on Revgals and then I often read them. 4. Most people know I love to knit but I also love to take pictures. I wish I had the time and money to take some classes and if ever I am not a preacher a photographer I would like to be. Pictures are beautiful expressions and stories. I wish I had found a good Lenten photo a day practice to participate in. 5. Wow this is a tough one. ….. Here goes my try…….. I set out today with just a map, magazine and some basic knitting supplies tucked in my trusty messenger bag, I quickly found myself heading towards a hiking trail on one of the local mountains – I weep as I climb as my heart is heavy. Coming to a clearing I find that love has replaced the weeping and I knit a baby sloth and a penguin as I sing with a lighter heart. I just had the opportunity to spend a few days with ring member St. Casserole. I still remember the first blogpost of hers I read, both its detail and its whimsy, but at the time I had no thought we would ever meet and become friends “in real life,” as they say. Still, I encountered something in her turn of phrase that made me come back again and again, and eventually led to both a trip to her part of the world to volunteer after Hurricane Katrina and to the founding of RevGalBlogPals. In this week some of us are preaching about a woman who encounters Jesus at the well, please name five encounters in your life leading to unexpected results. They might include learning a new skill, making a friend, falling in love, discerning a call or anything around or far off from those ideas. In the summer of 2003 I was in my second pastorate and went to the Interprovincial Women’s Conference that the Moravian Church in north America holds every 4 years. I meet lots of folks at these conferences and many of them seem to know who I am but I feel so bad because often I don’t recall who they are. Female clergy are almost always being asked to talk or rather listen and offer prayer. But 2003 brought a different encounter for me. I met someone who herself was feeling called to ministry and was my age. We hung out a bunch and I believe I was with her when she received word from home that she had been accepted at Duke divinity School. I prayed for her often but our paths didn’t really cross again for 5 years when she was asked to be the lay delegate and I the clergy delegate for a consultation that was to be held in Herrnhut Germany. How elated I was when I found out who would be my traveling companion and together we did travel from Raleigh to London, London to Prague (where we spent a few days) and then by train and eventually bus from Prague to Herrnhut Germany (our moravian home, so to speak). But not only did we travel the world together our spirits were united in a friendship that today spans several states. She’s my biggest supporter when it comes to taking time to care of myself and she helps me help the church see mental illness as something we need to do more than talk about. She has become one of my dearest friends and without her I can’t imagine my life. Daily I thank God for text messages, Facebook and other sources of modern technology. In a similar way I was at a youth convocation while in college and my room-mate and I had no idea who each other was. She was from North Carolina and I from Western Canada. We chatted at night but didn’t really hang out as we travelled in different circles that week. Fast forward several years and we would almost be room mates again but this time at Moravian Theological Seminary. Her apartment was on the same floor as my soon to be husband and my first year of marriage my husband often jokes he thought he was married to both of us – as he would often have to kick us out of our apartment so he could go to bed….but we would just pick up bookes and our Pepsis and move on over to her apartment. Both of us ordained now and we’ve never served any closer than 5 hours from one another but our friendship spans the states as we seek to support one another in ministry, motherhood, and basic day to day issues of juggling husbands, children, congregations, and our personal lives. I’m blessed beyond measure by her friendship and the knowledge that I know she’s only a call away whenever I need a familar and comforting voice…..the icing on the cake is that she gets being a couple in ministry as her husband to is clergy. But the cherry on top is that she blessed my life with a God daughter to love and by girly things for. While serving our second church my husband and I suffered several miscarriages and then infertility. I carried one baby into my second trimester and ended up having to have a D&E. I was eaten up over it and had lots of questions. Normally I could turn to my husband for support but he was grieving also and we were at different places. I turned to a bishop who I barely knew. (In the Moravian church a bishops primary function is to be a pastor to the pastors, at that time and currently there were/are no female bishops in the south). This bishop listened to me as I cried and grieved the loss of children, the longing to be a mother and the wondering of the theological implications of where my babies were. But he also listened as I wondered if any of the trauma I had suffered as a child had any implications as to why I couldn’t have children – was God punishing me I wondered. He never judged and has never judged me. He gently reassured me and reminded me that I am a beloved child of God. To this day he’s my pastor! When we moved to the metro Atlanta area and adopted our son, it was he who travelled to baptize him – so that day Joe and I could be mommy and daddy. It was he who visited me while I was on leave recently and he who visits our littleman when he has been sick and hospitalized. Why is he an unlikely encounter – because of the trust I have for him! While in seminary I was also blessed to have a counsellor who later became more of a mentor. She hugged me when I cried, she guided me through many life transitions – especially from being single to being married. She listened and when all I could see was darkness she saw the light. The light of Christ that surrounded me and was within me. To this day when something significant happens she’s on my list of people to call to ask for prayers, to ask for advice or to simply just listen. I’m a knitter – not the greatest knitter – but when you are a knitter you find that knitters bound together in ways that are unexplainable. I’ve got great friends whom I’ve never met but whom I text on a regular basis, I daily interact with a group of knit biters on ravelry that are truly my fiber loving sisters. While in the Atlanta area I knit with a group of eclectic ladies on Friday nights that I knew had my back if I ever needed them. We supported one another and helped one another in knitting projects but more importantly in life. And even in my current setting I’ve got friends that the only reason our paths crossed was our love of yarn and our favorite yarn store. Okay I have 6 – I would be missing two of the most important people if I didn’t bend the rules just a bit. My husband, my soul mate, my partner in life and ministry. It’s he who picks up after me when I’m unable to do so myself. God richly blessed me that first day of seminary in the first person I met – neither of us knew two years later we would be saying “I do”! Together we have an 8 year old littleman who reminds us to take time and play, who makes us laugh on a daily basis and is forever keeping us on our toes. Thanks for a great Friday five (or six), reminds me how blessed I truly am. Truth be told I could have named five or so more folks whose encounters have impacted my life beyond my wildest imagination. Thanks be to God for having my path cross with so many amazing men and women! It’s been sometime that creating a blog has been floating around my mind but I just couldn’t seem to get it together. I couldn’t come up with a name and when I did, it was taken. Then I couldn’t get the fears out of my mind: would I write anything that would make any sense or would anyone really read it. So today I just decided to do it! I didn’t have to meet anyone’s expectations (except my own), so here it goes, my entry into the blogging world! I will likely blog about the way my passions and my life are knit together. My passions in life are my family, different sorts of fiber (yarn and fabric), creations made by those fibers,and learning to live as a child of God’s. Sometimes my life is enhanced by ministry or the funny antics of a growing littleman, while other times its restricted with having to follow a gluten free diet and living with chronic pain. Regardless life is a journey and I invite you to journey with me and I pray we may learn from each other! The views and information I post here on MY blog are personal and do not in anyway reflect those of the Moravian Church Southern Province or any past, current or future church I serve. ...where dreams are dreamed and realities realized! A year of everyday prayers, from a Christian perspective.